Fishing Tournaments: Calling All Great Lakes Anglers! Delivery of Performance Series Docks to Armada de Mexico. Jet Dock is now accredited by the BBB with an A+ rating for customer satisfaction. Are you attending the Fort Lauderdale International Boat show this year? JetDock will be! Stop by the Bahia Mar Yachting Center tent to see our boat lifts. Are you going to Antelope Point Marina to take part in the 6th Annual Lake Powell Challenge? Check out this amazing footage of a seaplane that almost landed on a whale in a small, remote area in Alaska known as Angoon. 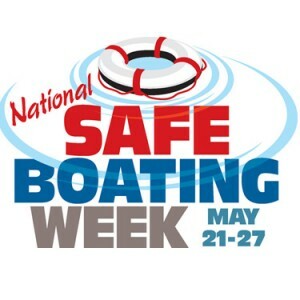 Today marks the end of National Safe Boating Week, which is celebrated May 17th - May 23rd. Are you an experienced angler that likes to participate in fishing tournaments? We pulled together a list of some of the top upcoming fishing contests in the Great Lakes Region that you could compete in. Scientists claim that blue-green algae in Lake Erie is likely to increase. This type of algae can cause significant damage to your boat. Learn what kind of damage it can cause and how to prevent it. With our business headquarters in Cleveland, Ohio, Lake Erie is near and dear to us. There have been a lot of reports over the years about the invasive species that are showing up in the lake. In fact, there are at least 25 invasive species in the Great Lakes today. Writer Jeff Hemmel from Boating Mag has named the JetDock boat lift system as one of the best alternative boat lifts. JetDock honors all who aided in the rescue of American citizens on September 11. We are proud to be members of the boating community alongside these heroes. An overview of how to stay safe when boating and what your boat needs in order to be maintained as safe. Save yourself time and money in maintenance by making sure that you winterize your boat lift before it's too late. Learn how to use PWC lifts or jet ski docks at JetDock.com. Our PWC lift tips are good for guests or those learning how to use a personal watercraft lift. JetDock is proud to announce that they will be featured at the 68th Annual Miami International Boat Show. In Sept 2008, Jet Dock delivered two 50 ft. Performance Series Floating Boat Dock Naval Assault Craft Unit One in San Diego, CA. JetDock is happy to announce that they will once again be featured at the 49th Annual Fort Lauderdale International Boat Show. In August 2008, JetDock delivered a 42 ft. Performance Series Floating Boat Dock and two 35 ft. Performance Series Floating Boat Dock to Commander Riverine Group One. In March 2008, Jet Dock delivered a 42 ft. Performance Series Floating Boat Dock to Commander Riverine Group One for dry-docking a 24,000 lbs. Response Patrol Boat, or RPB. Announcing upgraded JetDock designs for 2008 to handle the newest, ultra-heavy PWCs in the market! Additional buoyancy has been added, and most models now come with JetDock�s built-in winch tower system to fully dry-dock your pwc. With the JetDock System, you can easily integrate a boarding platform with one of our PWC docks. This allows you to get the maximum benefits from you boat slip. Accessing your craft just became much easier for your entire crew. Utilize a JetDock Floating Boat Lift for easy access to your watercraft. In June 2007, Jet Dock delivered (2) Custom 37ft Performance Boat Docks to the Port Authority of New York / New Jersey Police; to be used with their jet driven Moose Boats.